Editor's Note: Behind the Lens is a digital video series featuring bold California indie filmmakers pushing the boundaries of their craft. Each episode captures the personal experiences that inform a filmmaker's work and the risks they take to bring stories to the screen. For Bay Area filmmakers Quinn Costello, Chris Metzler and Jeff Springer, it’s the suspense of not knowing where a story will end up that makes documentaries so exciting. When they started working on Rodents of Unusual Size four years ago, they didn’t know if they’d be able to gain the trust of the Louisiana communities fighting to eradicate nutria—an invasive species of monstrous, 20-pound swamp rats wreaking havoc on the wetlands that prevent coastal erosion and help protect residents from hurricanes. “People were really used to TV crews coming and caricaturing them, blowing their stories up and kind of making fun of them,” says Costello. But Costello, Metzler and Springer weren’t just another reality television crew. The trio shared a genuine curiosity about the nutria hunters and their families, forming close relationships with their subjects on over a dozen visits to Louisiana during hunting four seasons. The filmmakers are no strangers to unusual stories. They routinely tackle projects most would dismiss as impossible, whether that’s documenting the eccentric community around the stagnant Salton Sea or the unclassifiable, tumultuous band of Fishbone. 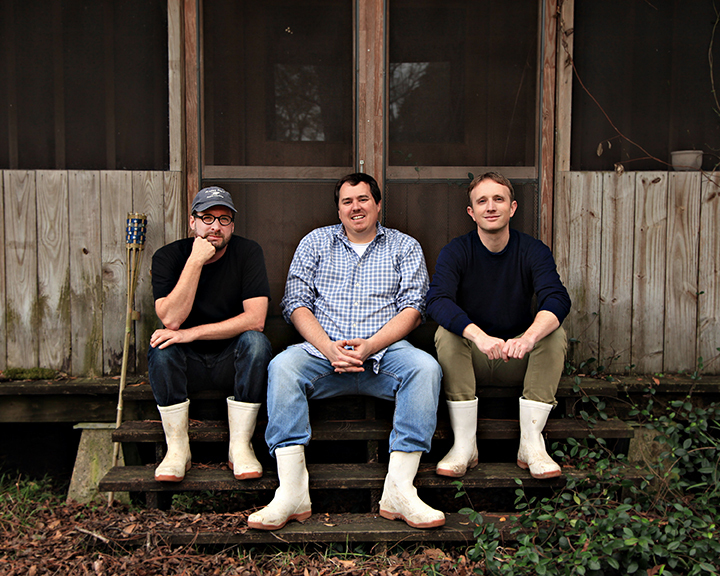 And for the trio behind Rodents of Unusual Size, which screens with the filmmakers present at the Smith Rafael Center on Thursday, Oct. 25, and premieres on PBS' Independent Lens in January 2019, there’s far more to their film than the drama of the hunt. KQED Arts sat down with Costello, Metzler and Springer to find out more about making a film with three directors and how documentaries can be portals into other worlds. 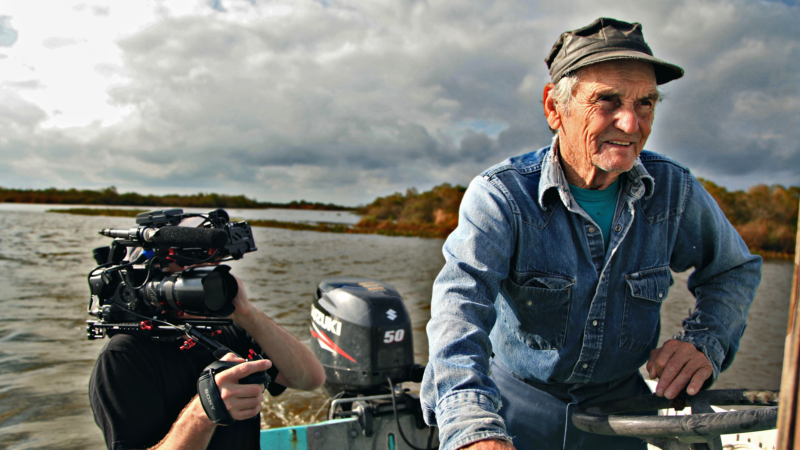 How did you get your start in documentary filmmaking? Jeff: Chris and I met at USC as undergraduates, and later we ended up in film school making more narrative-oriented projects together. Toward the end of school, we both found that nonfiction film was really a lot more interesting than fiction. A few years later, we made our first feature-length documentary film, Plagues and Pleasures on the Salton Sea. Chris: I remember when Jeff and I went and saw [the documentary] Fast, Cheap and Out of Control. It gave me the permission to say, documentaries can be a lot like narrative films and you could take on interesting, unique subject matter that you wouldn't normally think a film could be made of. Quinn: One of my first jobs in film was working as an assistant editor for two veteran documentary filmmakers in the Bay Area, Will Parrinello and John Antonelli. That experience was really priceless because it gave me an access point to see how people are making a living as independent documentary filmmakers. This is one path that you can take. How did the three of you team up to make this film? Quinn: I met Chris serendipitously at a KQED Truly CA filmmakers party and was always interested in the films he and Jeff were making. There was some overlap in that I was working on a lot of environmental films. I had this idea, originally, to make a short in Louisiana about nutria, and as it turned out, Chris and Jeff also knew about the subject. We started talking about collaborating and how we could pull this off and eventually we decided to buy plane tickets, head down to Louisiana and just start filming. Jeff: A lot of people wonder, how can you have three directors on a film? I think it’s worked out really well because I think we each bring different skill sets to the team. I also shot the film, Quinn edited it, and Chris does a lot of the producing. So I think that we can collaborate very well that way, because we kind of have our craft area that we are also able to focus on. If there's any disagreement, we take it to vote, and with three of us, it's easy to make decisions. Chris: For me, there really isn't any kind of a point in the film [when you can say], “Okay, we've succeeded.” Some people ask, “What about your world premiere, or getting your film on TV, or a sold-out crowd to a screening, is that the thing that kind of makes you excited?” Those things are always fun, but they're kind of expectations going in. It's really about meeting all these people and winding up in these unique situations and places, whether it’s the deserts of California, on tour with a punk rock band like Fishbone, or being down in Louisiana chasing giant swamp rats. Quinn: It’s like opening a door, a portal into all of these different parts of the world that maybe you wouldn't get to see otherwise and you get to share that experience for a while. What's something you would tell your younger self? Quinn: Put one foot in front of the other. Don't think about the end product; just think about the next right step. Don't let what you want this film to be at the end get in the way of getting the film started. Start the film and the end will figure itself out. With Rodents of Unusual Size, we thought we would be finished years ago, and if we had known it was going to take as long as it did—not that we wouldn't have done it—we would have been a little bewildered by that.